Please post here a link to your F1800 skin. 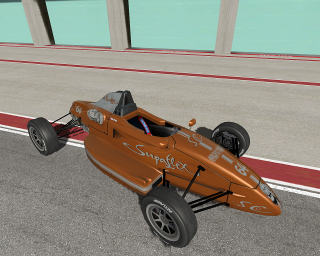 We will create a skinpack before the first race. I will upload all 3 when the GPC championship finishes. The pics are a sneek preview. Guys watch out that your skins folder's name is too long. If I'm not mistaken the maximum folder name length is 15 characters otherwise will not be visible online from other drivers. No need to upload it again. I'll fix it myself and publish it in the skinpack. Andrea, u will do one only file in first posts in next days, right ? can you courtesly wait till monday morning for championship zip pack? Sure, don't worry! Have fun at Varano! spero che sia la prima di molte skin, io mi diverto a colorare, ci si vede in pista!!!!!!! we will pack all those skins in a big skinpack. Please advice me, if - how - I should put it in dedicated folder...?!! Andrea Lojelo wrote: Team Radiators-champ default skin. when i click download on this link it takes you to the gaming forum!!!! !